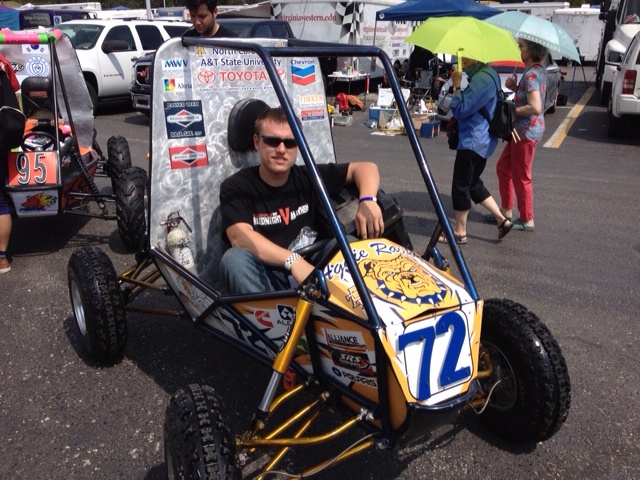 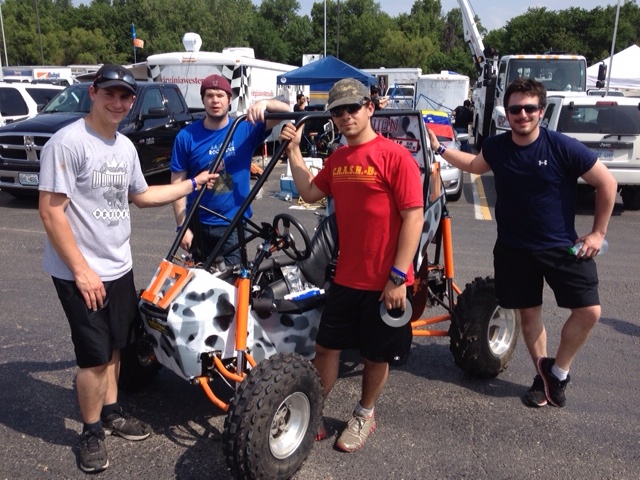 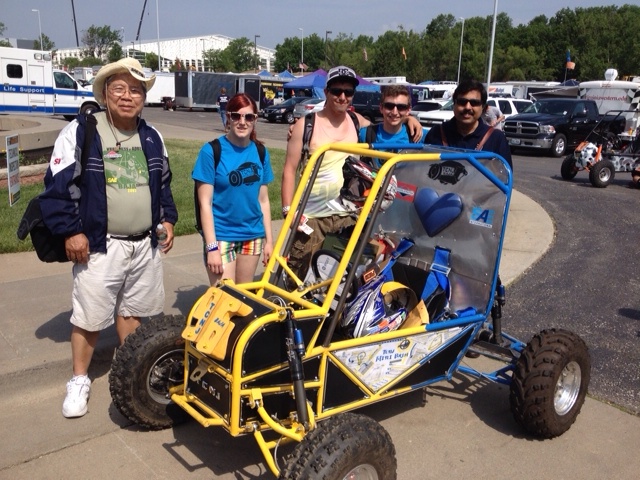 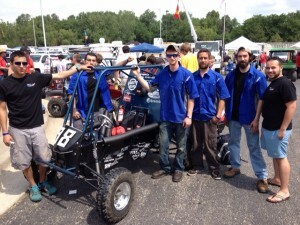 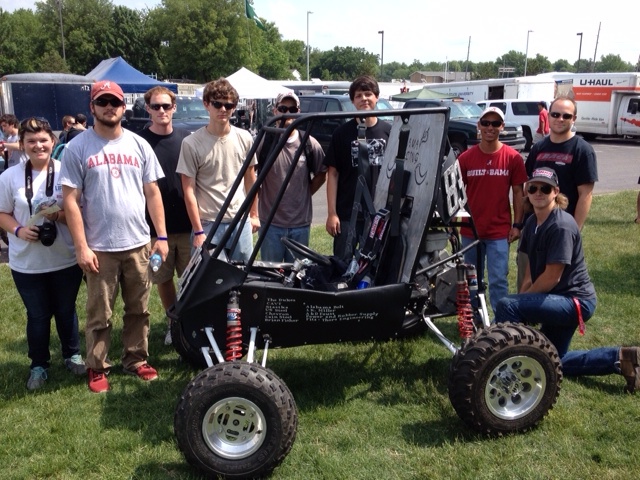 Baja SAE – one of the most exciting engineering events of the competitive season. 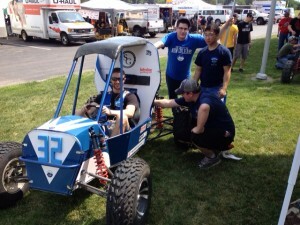 For Baja SAE KANSAS, Pittsburgh State University, Pittsburgh, KS, USA, has opened its doors to its hometown and state-of-the-art technology center to engineering teams from around the world. 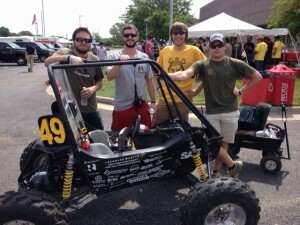 Last night, Pittsburgh State racing hosted a Baja review right in the center of downtown. 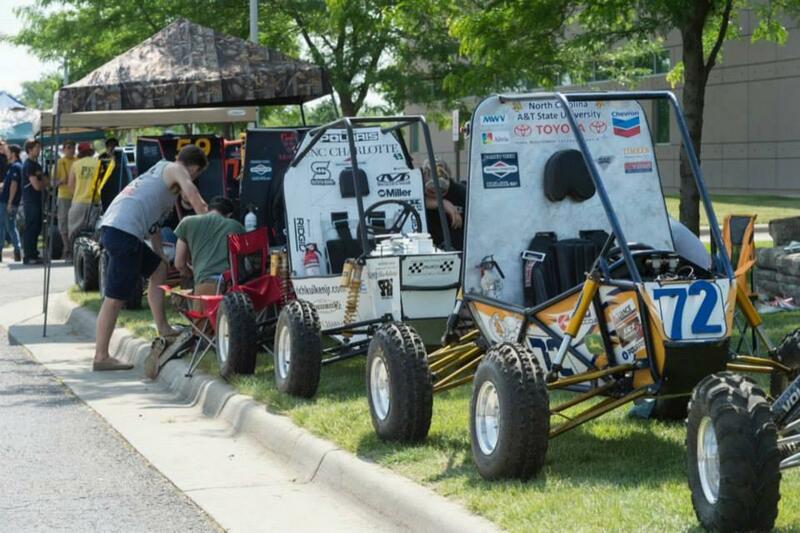 The cars were all clean and ready to show off to the hometown crowd. 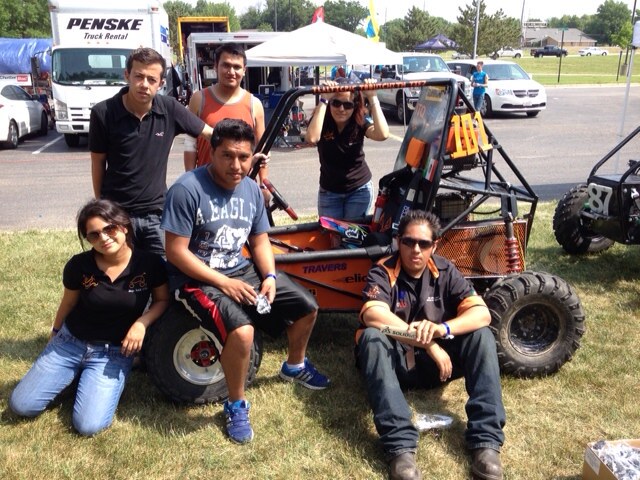 Tomorrow will be a different story when the mud flies high. This weekend will feature the toughest climbs, the extreme forces to pull a sled, and an endurance run that makes even the brave cry – but all with fun and the love on engineering. 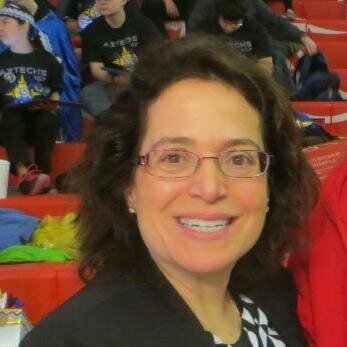 In the static events, you can fill the tension in the judges room today. 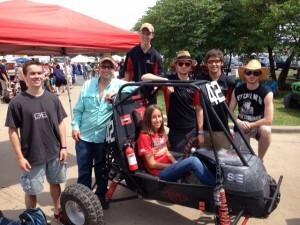 We wish North Carolina State and all teams the best this weekend and now will share with you some of the teams we ran into. See if you have a favorite.